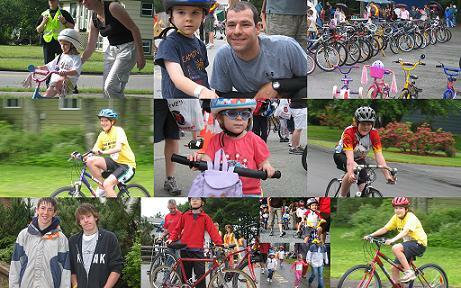 The Bridgewater Triathlon Club is very pleased to assist Bridgewater Parks and Recreation with the 16th Annual South Shore Kids' Triathlon on Sunday July 1, 2018. Our members help with the organizing as well as on event day. 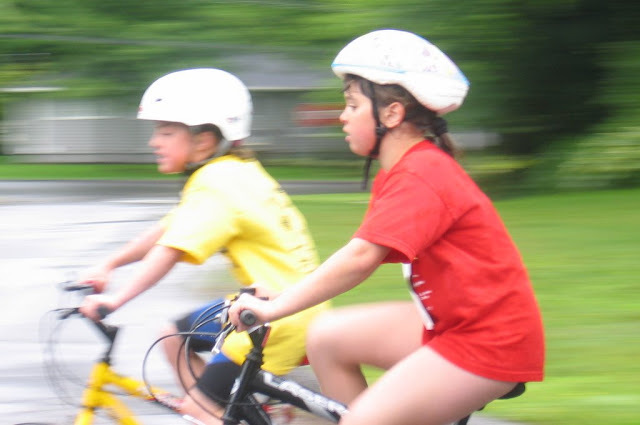 Kids' Triathlon is a program that encourages healthy active living, fun, life-long participation, safety, building of skills and the involvement of youth. The program includes swimming, biking and running components. The emphasis is on fun, non-competitive participation over short distances appropriate for each age group. It also includes a team relay event, so boys and girls may join up with their friends and participate in the portion of the event that they are more comfortable with i.e. Swim, Bike or Run! Bridgewater Outdoor Pool, 154 Jubilee Road, Bridgewater, N.S. Directions: Heading south on King St., turn right on Jubilee Rd. Please do not park on the bike route. Refreshments & Draw Prizes - 12.00 p.m.
7 & under will run through a sprinkler. Helmet must be worn on the bike and torso must be covered on bike and run! or drip in at out office located at 60 Pleasant St., Bridgewater, Nova Scotia B4V3X9. **All participants must check-in from 7:45-8:45a.m.at the Bridgewater Outdoor Pool parking lot.